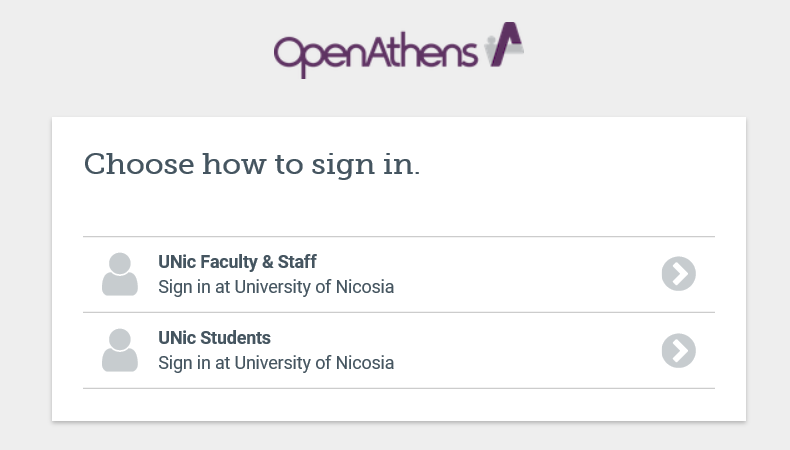 either login with OpenAthens or connect with the University's Proxy Server (instructions can be found at OpenAthens Authentication and Proxy Server Authentication sections - menu on the left). How do I gain access using my UNic email credentials? You will be re-directed to the resource home page. Most e-resources provide a small UNIC logo or text (e.g. Access provided by UNic…) on the page, which indicates that you have successfully gained access and all features are available. *Important Note: Some e-resources are excluded from OpenAthens authenication. You can gain access to them using Proxy Server Authentication (see menu on the left) or personalized credentials, as indicated by UNic Library. 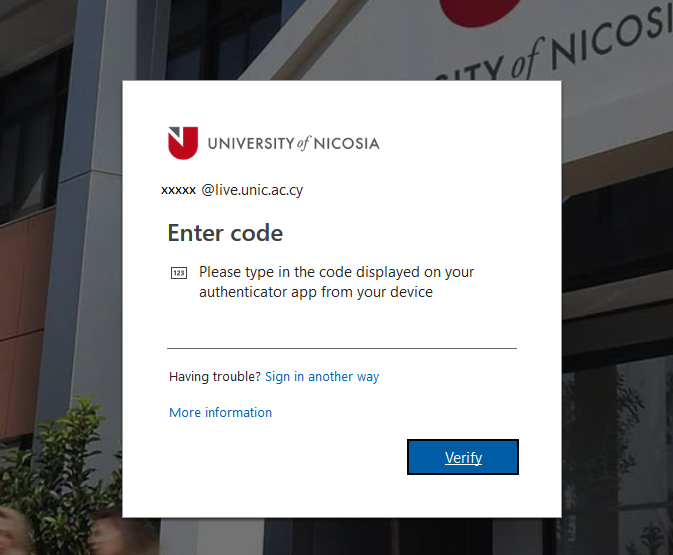 University of Nicosia provides Office 365 Pro subscription to all enrolled students. Office 365 Pro gives you access to online office applications i.e. (Word, Excel, etc. ), an e-Mail address that can be accessed either through Outlook Online, or by using Outlook, or any other e-mail application, in addition to several collaboration tools that you might need during your studies. Log in to the Student Intranet. Your Office 365 account is provisioned using the same password as your Student Intranet password. All Distance Learning students receive their password by e-mail upon their registration. 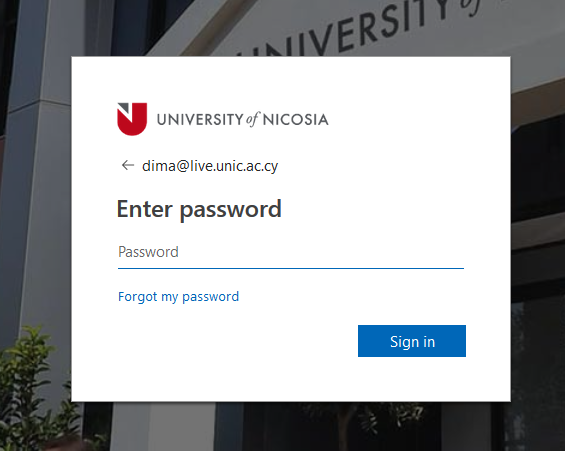 If you forgot your username/password, you can contact the UNic Computer Center (+357 22 841586, support@unic.ac.cy). E-books collections from various vendors/publishers. E-journal collections from various publishers. Specialised collections of sources (e.g. journal articles, conference proceedings, book chapters etc.) focusing on a certain subject area. Organised alphabetically and by subject. Reference management tool that allows you to compile, edit and format bibliographies. UNIC Library Search allows you to search simultaneously most of the Library resources, both electronic and print. Use the search box found on the Library home page to enter your terms (keywords, phrase, title, author, etc.). Select E-Resources on the dropdown menu on the right to limit your results to electronic resources available to read right away. If necessary, use the Advanced Search option to make your search more specific. Use the options on the left to filter your results. Click on its title to find more information about a source. Select the available full text option (PDF Full Text or Full Text Finder or HTML Full Text) to open and read the full text of a source. eBook collections provide access to eBooks and eBook series from various vendors/publishers. Read the descriptions to choose an appropriate eBook collection. Click on its title to open a collection. Enter your keywords (title/ author/ subject) in the search box. You can use Advanced Search when available. You can also search for eBooks in the UNIC Library Search. Enter the title of the book in the search box (found on the Library home page) and select either E-Resources or Publications (Journal & eBook titles) on the dropdown menu on the right. If necessary, refine your search using the Advanced Search option. Click on the available full text option (PDF Full Text or Full Text Finder) to open and read the eBook. eJournal collections provide access to journals published by individual publishers. Read the descriptions to choose an appropriate collection for your topic. Click on its title to open a collection. Enter your keyword/phrase in the search box. You can use Advanced Search when available. You can also search for journals and journal articles in the UNIC Library Search. Enter the title of the journal in the search box (found on the Library home page) and select Publications (Journal & eBook titles) on the dropdown menu on the right. For available journals, you will find coverage dates and links under Full Text Access. 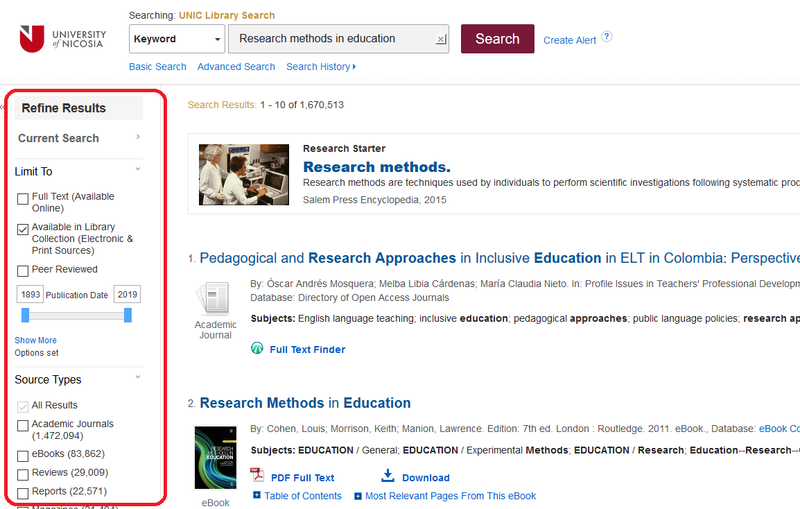 Enter the title of the article in the search box (found on the Library home page) and select E-Resources on the dropdown menu on the right. Select the available full text option (PDF Full Text or Full Text Finder or HTML Full Text) to open and read the article. Library Databases provide access to scholarly sources of information (e.g. journal articles, conference proceedings, book chapters etc.) in a subject area. 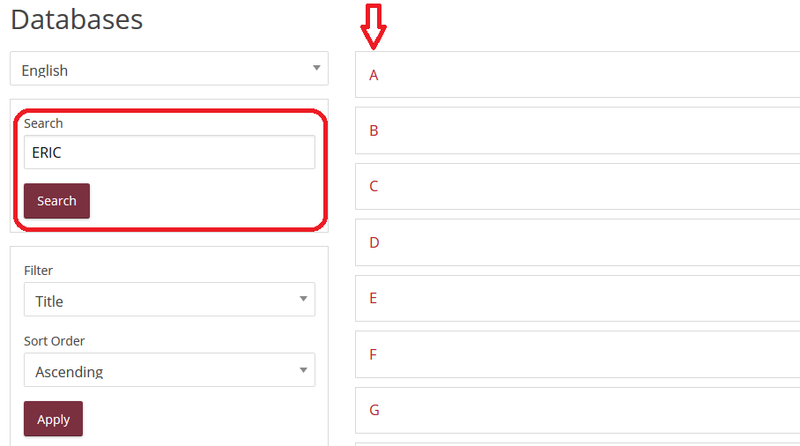 If you know which database you need to search: Click on a letter of the alphabet that corresponds with the first letter of the database and scroll down until you find the database you need. You can also type the name of the database in the search box on the left. Alternatively, to find out which databases are relevant to your subject: Select Subject on the filters and press Apply. Then choose one of the categories to expand the list of relevant databases. Read the descriptions to choose a database appropriate for your topic. Then click on its title to open the database. Enter your keywords in the search box. You can use Advanced Search when available. RefWorks is a web-based bibliographic management tool that allows you to create a database of citations/ references to resources (books, journal articles, web sites, etc.). It facilitates the insertion of citations within a research paper (in-text references, footnotes, or endnotes) and the creation of a formatted bibliography using a citation style of choice. All major citation styles are supported (e.g., APA, MLA, Chicago, etc.). RefWorks can help you create properly formatted references and bibliographies in your essays and assignments. To use RefWorks you need to sign up for an individual account. 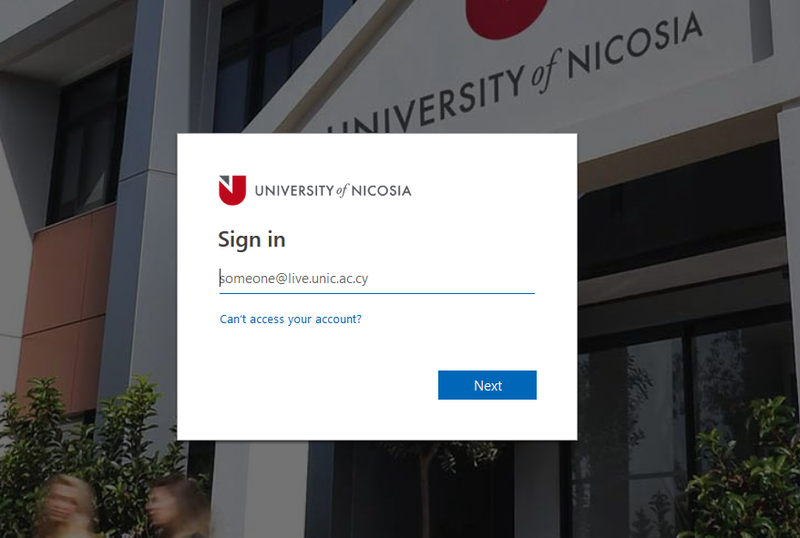 To be able to create a new account, you should be connected with the university's proxy server (see OpenAthens Authentication or Proxy Server Authentication section). Fill out the form provided. You will receive an email with the username and password you created. Your username and password will give you access to your RefWorks account. Detailed instructions on how to use Refworks can be found here. For hardcopy material that is not available online through UNIC Library, you may visit other academic libraries in your area. Most of them will probably allow you to use print resources within their premises. If you are in Cyprus, you are allowed to borrow material from the above libraries. Contact the UNIC Library (libithelp@unic.ac.cy ) for further information. The Library collaborates also with some academic libraries in Greece. If you are interested in a particular library or if you need to check whether there is any library in your area that we collaborate with, please contact us (libdistance@unic.ac.cy).